If a picture is worth a thousand words, then these live demos are worth a million. Choose a feature below to try an interactive demo. Get inspired. Look up data from a look up table in real time. 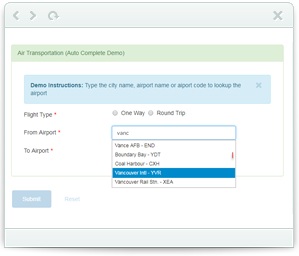 Return the data and populate multiple fields to show locations, calculate insurance premiums and more. Use the Icon Field to display the selection buttons on your form. Choose from over 500 icons, set the color, and make it your own. This little gem can go a long way to making your forms more user-friendly, It also works great on mobile devices! The SubForm Component makes it possible to create a one-to-many relationship between forms. Collect unlimited amounts of linked data for things like event attendees, creditors, uploaded media and more. 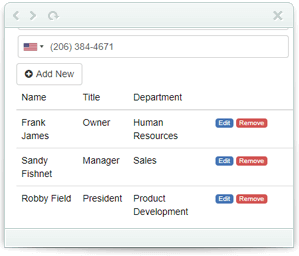 This flexible feature works hand in hand with Lookup Data, allowing you to loop over the subform records when generating Dynamic PDFs and email responses. This powerful form widget allows drag and drop uploading of multiple files. Files are previewed in real time, with a pop-up slide show and zoom option, automatic client-side resizing, file permissions and restrictions and even thumbnail creation. 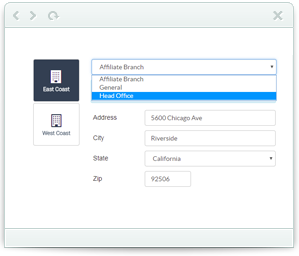 Build amazing forms with the advanced file upload capabilities. 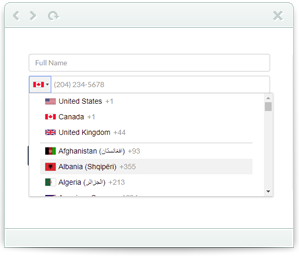 Automatically detect, format, and validate international phone numbers, No more long, jumbled numbers with missing area and country codes. 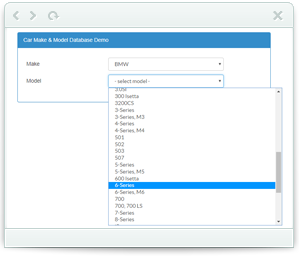 This demo uses the Car Make and Model database with Dynamic Data to provide a simple user interface for the end user to select the make of their car, and then be presented with the models and available years. 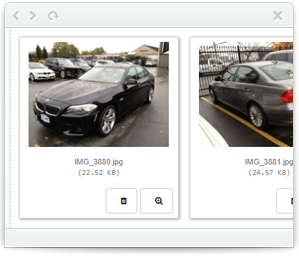 The car make and model database is available in our template library, pre-configured with the dynamic lookups so you can do the same thing on your form. 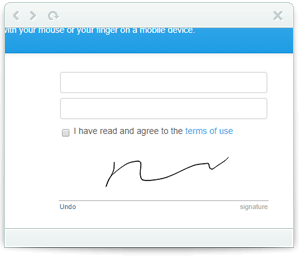 Sign with your mouse or your finger on mobile devices. Secure and legally binding and included free on all our plans. This demo shows the use of the AutoComplete field widget. The AutoComplete widget pulls in matching records as the user types. Pull in local or external data. This example uses a lookup table with 10,000 airport names and codes which is available in our template library free of charge.